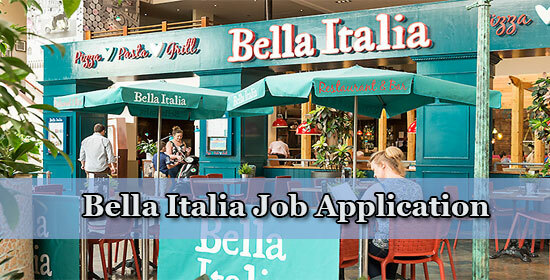 According to the information from and notifications of Human Resources Department of Bella Italia Company, you can search for Bella Italia recruitment notices and get information about the firm, as a result, apply for a job, from our website. Minimum age to work Bella Italia: Age limit is 16 years or older. 16 restaurants in London, 100 restaurants in the UK, 14,000 bottles of Prosecco served in the last year, 315,000 bottles of Peroni served in the last year, 1,700,00+ pizzas served every year, 6,715,062 lovely customers served in 2015. Coffee, cocktails, wine and even milkshakes. You get the party started! If you know your Limoncello from your San Pellegrino, we’d love to hear from you. Oversee your section of the kitchen and help others grow into their role. You make things happen! An ideal first step on the road to becoming a great chef. And at Bella you’ll learn how to cook great Italian food. Nom nom. Help keep our kitchens running smoothly and keep everything clean and tidy. A vital job that we really appreciate. For our customers, you’re the most important person in the restaurant. Make them happy and you’re doing a great job. Smiles all around! Bella Italia (formerly known as Bella Pasta) is a chain of over 90 Italian restaurants operating in the United Kingdom. The chain is part of the Casual Dining Group, who also own Café Rouge and Las Iguanas. The menu combines pizza and pasta, which is their main product, with a range of grill and speciality dishes. The food is complemented by some Italian wines – many from smaller producers – beers and soft drinks.